Lush is able to create natural hair and body products in a visually appealing packaging. 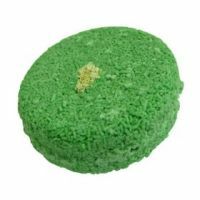 But what makes Lush stand out is the name the company chooses for its products. Karma Komba solid shampoo is a hydrating shampoo with a delicious patchouli and citrusy smell. It makes a lot of foam and gives a little bit of volume to your hair.